Laws of Game: All FIFA Laws, except: No Punting, No Slide Tackles, No Penalty Kicks, No Off-Side's, No Yellow/Red Cards (forced sub). 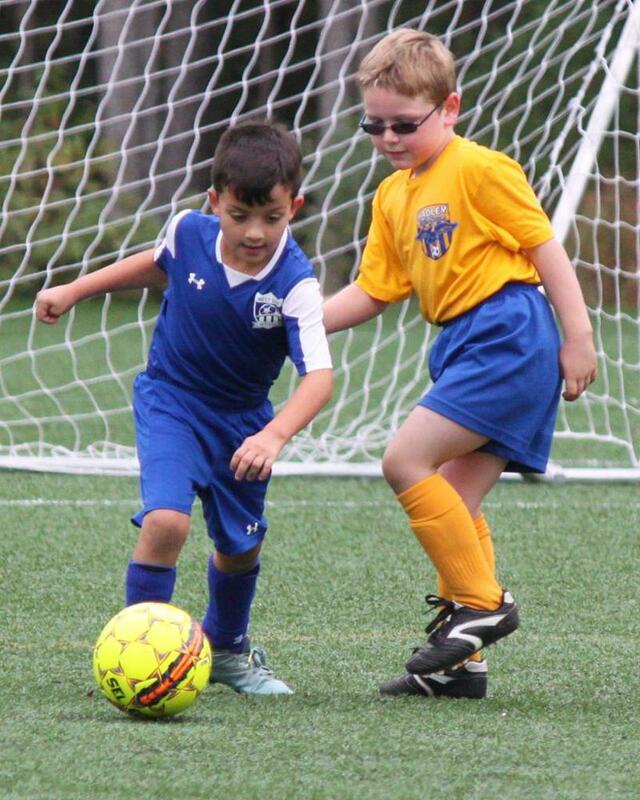 Our U6-U8 program is designed to help players develop basic soccer skills whilst improving their confidence and comfort. Games are structured in quick 15min thirds to allow coaches a chance to give their players extra guidance, and the referee is a "mentor" helping teach the laws of the game. All games at our new state-of-the-art soccer complex in Westfield, games have usually been outside but can be moved inside if needed. ©2019 Roots Soccer League / SportsEngine. All Rights Reserved.